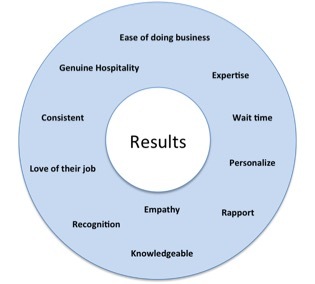 Too many customer-facing employees are convinced that customers will be happy and loyal if they get the results they were hoping for from doing business with them. This is so not true. Think about it, if you have a toothache, don’t you expect the dentist, any dentist to fix it? If you go to a high-end steakhouse, and you order your filet mignon medium rare and it comes out medium rare, are you doing backflips? If your complete order arrives within two days as promised, are you wowed? And if your accounting firm prepares your year-end taxes accurately and the IRS does not open an investigation on you, are you so thankful? Not at all, that is what you are paying for when you deal with reputable businesses. However, if that is all you get, which is the same thing you would receive at any of those company’s viable competitors, you will not be a loyal customer. We need to change the mindset of what we think makes customer loyalty. Customer loyalty is created by the numerous micro experiences the customer has with a brand. When a patient tries to check in and the receptionists finish their conversation with each other before they provide an unenthusiastic greeting. Or how the waiter makes you feel rushed and aware that you are one of ten tables he is serving. Or the multitude of steps it takes you to place your order, and the degree of difficulty from making changes to your order after it has been placed to getting a human on the phone. Every customer-facing employees needs to be focused on how they can provide a positive experience on EVERY interaction, whether it is face-to-face, click-to-click, or ear-to-ear. 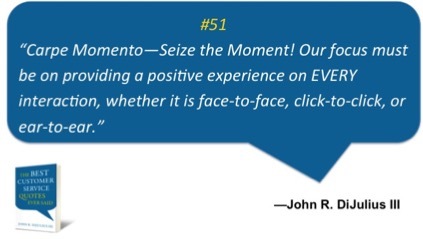 They need to Carpe Momento – Seize the Moment. Your Service Aptitude training needs to teach them how to do that. Some excellent examples are The Five E’s and FORD. If you ask your employees in every department who their true customer is, you will get varying answers. Truth is, your primary customer is the person you communicate with directly on a day-to-day basis and who is affected the most by the work you do. In the business-to-business world, manufacturing and corporate office settings, the customer is mostly internal people that work at the same organization; positions like Management, Administration, IT, HR, Marketing, Regional Sales Managers, Warehouse, Branch Managers, Legal, and Regional Directors. Every single company I have ever worked with suffers when people in these positions do not truly understand who their customers are, the person/group that is most dependent on their services. 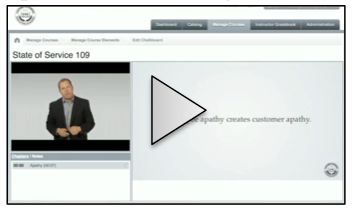 Watch this three-minute video of how I learned the hard way who my customer really was. What is the CX Executive Online Academy? It’s what you have been asking for and it begins January 2017, an online course that mirrors the Customer eXperience Executive Academy. The CXE Academy traditional onsite setting has been sold out every year since its inception. Now, whether you are currently a Customer eXperience Executive or you would like to become one, you can study the same content and X Commandment methodology from you own desk, at home, at your own pace. 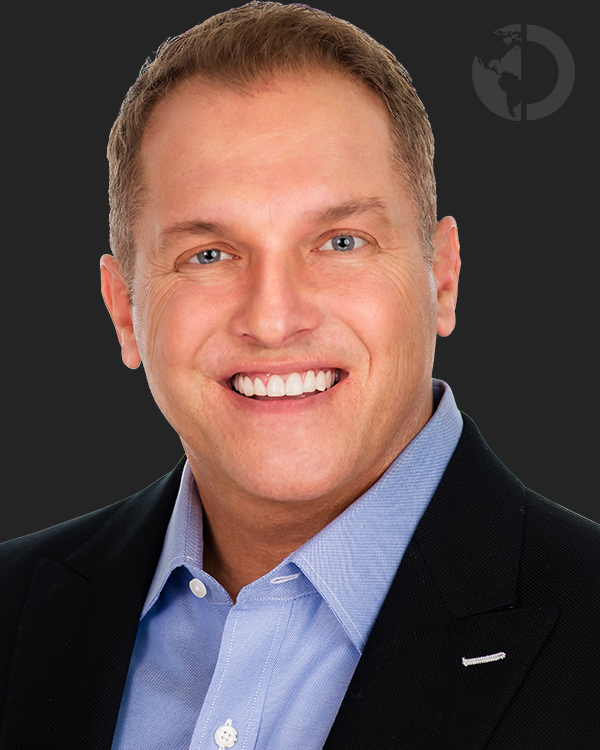 Your intensive online learning experience includes twelve months of full access to the course series instructional videos, featuring John DiJulius and Dave Murray. These include knowledge checkpoints, course exams, and implementation strategy. Upon your successful completion of the online CXE Academy, you will receive Customer eXperience Executive certification. Most importantly you will have the CX training that less than 1% of Customer Experience Executives have in the world. Enroll now by contacting Claudia at claudia@thedijuliusgroup.com and save $1,000 off the 2017 CXE online Academy tuition.